If you’re a coffee lover then the chances are you’re quite the fan of the odd latte. Many of us go to popular coffee shops such as Costa Coffee, Cafe Nero or Starbucks; but you can actually make your very own latte at home! It doesn’t actually take very long either, around 5 minutes. Here at Fit My Bedroom we love our coffee, so below we’d like to share with you a recipe for the most incredible cinnamon latte, for those who have a sweet tooth. Feature Image Source: FlickrYou’ll have to start with the ingredients, which start with 400ml of strong coffee, this is enough for 4 mugs worth. Now, this can be any coffee you desire, but the stronger the coffee the better the latte will be once finished. You can find market stalls who sell flavoured coffee beans, so if you can find cinnamon flavoured ones you can make it stronger. Alternatively you can use other flavours such as vanilla or ginger coffee beans to compliment the cinnamon. Next you’ll need to make sure you have 1 level teaspoon of ground cinnamon. You can find packets and pots of this in your usual supermarket, if you get a bigger pot you can make dozens of lattes! You could also add a thin stick of cinnamon for decoration, but keep in mind that this will make the drink much stronger. You’ll also need 2 level tablespoons of sugar, yes you heard me right, tablespoons. Last but not least you will need 1 ¼ litres of low fat milk, you could of course use semi-skimmed or full fat but the drink seriously doesn’t need it! So you have your ingredients, yes? Good. You’ll need a large pan on a medium to high heat on the hob. To this pan you’ll need to add your cinnamon, sugar and a small amount of your milk. After a minute you need to slowly add the rest of the milk and then bring to the boil (being careful not to over boil). During this time you can make up your pot of coffee either using a coffee machine or simply adding hot water from a kettle. Split this up between 4 cups and leave room for your spiced milk. Just as the milk starts to boil you’ll need to be quick to take it off the heat entirely. Now all you need to do is add your hot milk to your hot coffees and you’re done. You now have 4 extremely tasty cinnamon lattes to try, so get tucked in. 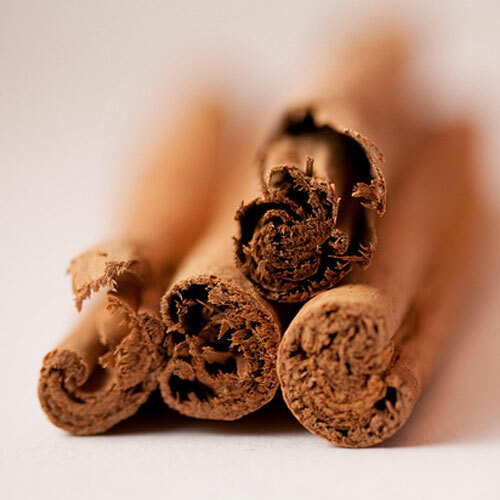 If you’re not a fan of cinnamon you can use alternative spices and flavourings, just make sure you’re not using too much! Also, if you can’t find ground cinnamon but do find the sticks, you can use a couple of thin or one thick stick to flavour your drink.